L'Occitane Immortelle Divine Range / Gee Whiskers! It is no secret when it comes to L'Occitane I am a HUGE fan. 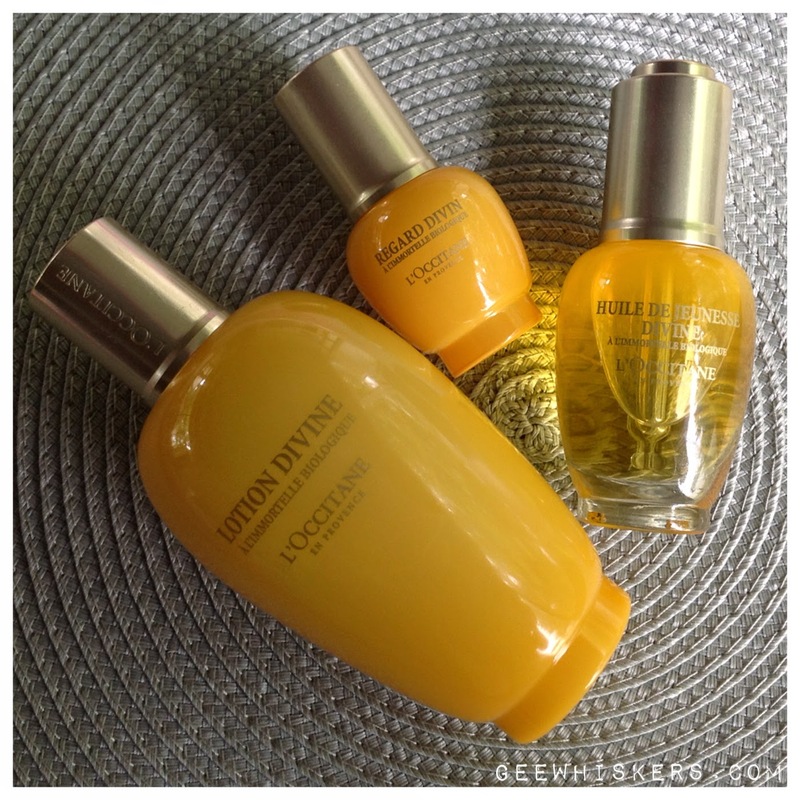 Today I am going to share three products from the Immortelle Divine range. Two of them I won from the Beauty Shout Box in a giveaway and another I received from L'Occitane. "For the Immortelle face care collection, L'OCCITANE has concentrated the extraordinary anti-aging properties of the legendary immortelle flower from Corsica, which never fades, even after being picked." The Immortelle range is one of my absolute favourites because it is totally geared towards anti-ageing which is very important to me, especially since turning 30. This oil is new to the Immortelle range and is used to help fight visible signs of aging. Overtime the skin's texture is firmer and has a more youthful appearance. The oil itself is silky in texture and non-oily. It literally melts into my skin and is lightweight. I LOVE the fragrance of this range - it is such a treat to use every day. I only need 2-3 drops of this to cover my face. Over time I have noticed that my skin is much firmer and I have fewer lines around my eyes. 30ml retails for R1425 (buy it online). This lotion is absolutely AMAZING! It is used to prepare the skin for the products that follow. The lotion also helps to accelerate cellular renewal to help regenerate skin and in so doing, give you younger looking skin. This lotion is immediately absorbed into the skin because it has a very thin, watery consistency. When my skin feels especially dehydrated, this lotion immediately soothes it. As with the Youth Oil, this has an amazing scent. 200ml retails for R655 (buy it online). I am VERY lazy when it comes to eye creams. I think it is because a lot of the time I just don't see any results or very few that just doesn't warrant further use. This eye cream however is fantastic at regenerating the eye area - fine lines are reduced as is any signs of puffy eyes and dark circle. 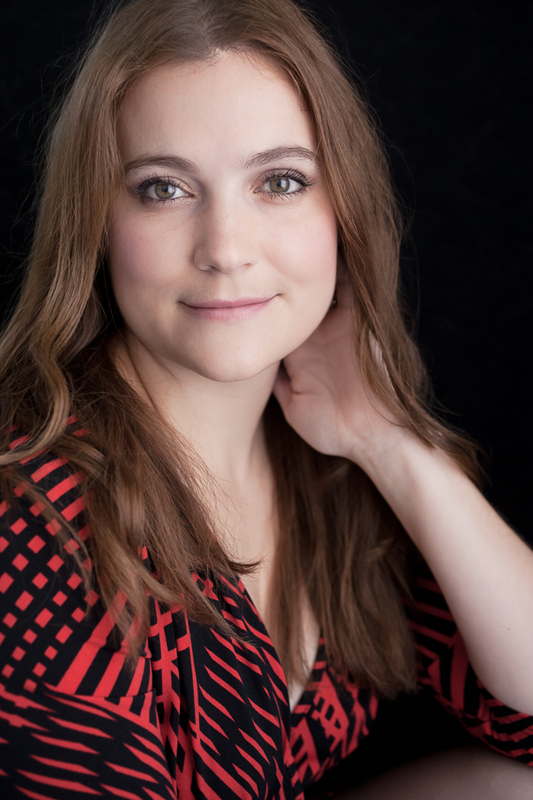 My skin is firmer around my eye, there are fewer lines and overall the area looks more luminous. The cream has a gel-like texture the is quickly absorbed into the area. This is really pricey, 15ml costs R465, bt one pump is more than enough to cover my entire eye area and area around my lips (buy it here). Thank you Hazel and L'Occitane for these fantastic products. They sound like awesome products ... need these in my life.